The French capital plans to install 40 new food trucks on the city's streets before summer. Cheap eats lovers of Paris, rejoice! After being shut out of the city for years, food trucks are now officially rolling onto Parisian streets with the blessing of Mayor Anne Hidalgo. Potential food truck operators have until May 15 to apply for one of 40 (stationary) spots designated for the new trucks across the city. The main reasons for the newly minted popularity of food trucks? Burgers. 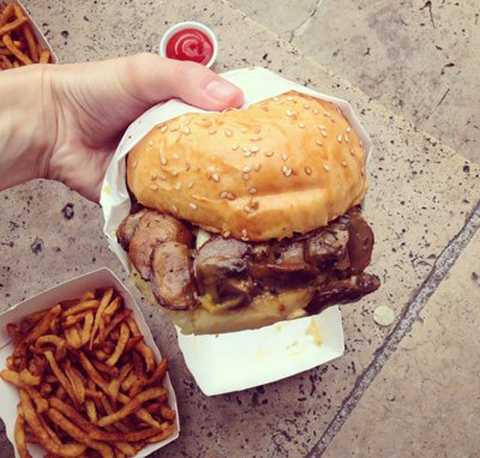 Parisians have gone burger crazy, with annual sales currently topping $1 billion (!) dollars for the “Americanized” beef-and-bun classic. The momentum began to build with the arrival of American Kristin Fredrick and her Le Camion qui Fume food truck in 2011, launching the city into a full-on burger and food truck frenzy. While the burger bubble is bound to burst soon, even Burger King is jumping on the trend. A recently opened BK in Lille, France attracted major national attention and thousands of visitors who waited up to two hours for a Whopper (or five).